In some cases just a rectangle, circle, or a triangle is just not good enough. That is way MetalsCut4U not only offers the 14 different shapes and forms you can order in our easy to use 4 step ordering process, you can also contact us and send us your idea, or a clear drawing of the metal piece you are searching for. 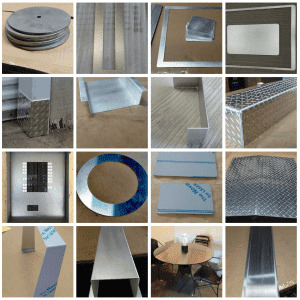 Sheet metal out of Aluminum, Stainless Steel or Steel, can easily be tailored, cut and bend to your individual needs. The great thing about it is that you don’t have to buy many of them. One is enough if that’s the amount you really need. You will only buy, what you really need. So order only one metal part that is fine with us. 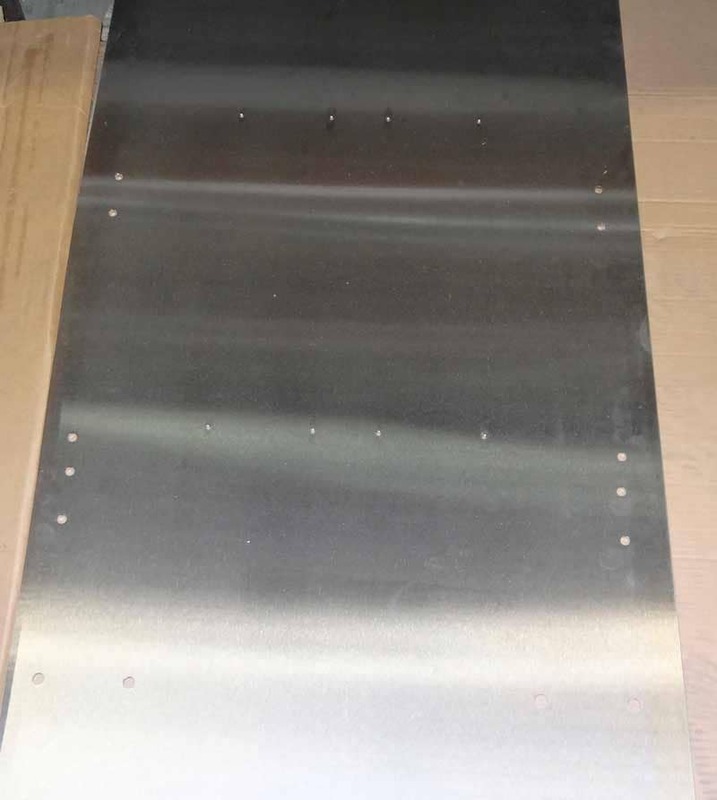 In this particular case, the customer requested a simple rectangle cut out of aluminum sheet metal with several holes in it. The customer gave us a small drawing with the necessary measurements. We programmed our Laser cutter to get this individual aluminum metal part shaped as a rectangle to him as fast as possible. This is all done hassle free for you. No drilling holes yourself, or buying sheet metal you don’t need and have to cut it yourself. Contact us, we will be happy to support you.